Why doesn’t the British government through its Treasury issue debt- and interest-free money? Why do our politicians go to private bankers who create money out of thin air – as figures on a computer screen? When this ‘money’, or ‘nothingness’, is received by our government, why do we, as taxpayers, pay £50,000,000,000 interest a year? Austin Mitchell MP, Chairman of the Forum for Stable Currencies has been tabling Early Day Motions since 2002 to this effect. In 2008, we submitted Green Credit for Green Purposes to the Treasury Select Committee. 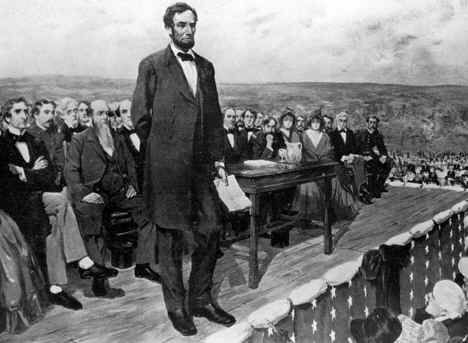 In the US, this principle – a sovereign nation’s treasury issuing its own debt-free and interest-free money without going anywhere near the private central banks – was implemented by Abraham Lincoln in 1861 with his Greenback Dollars which secured the final victory for the North in the American Civil War. Fifty-three years later, in August 1914 at the outbreak of the First World War, the British Government passed an Act allowing the Treasury to issue debt-free and interest-free money that became known as Bradbury Pounds. 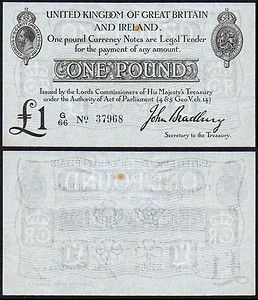 The Bradbury Pound was an emergency measure brought in by the then Chancellor of the Exchequer, David Lloyd George, to prevent a possible run on the banks, as people adjusted to the news about the outbreak of the Great War. To read the full story of this virtually unknown historical precedent, go to www.ukcolumn.org and click on the Bradbury Pound campaign logo. Which Side are you on: Rothschilds (City) or Treasury (Westminster)? This entry was posted in Bank of England, Bank of International Settlements, Borrowing, Bradbury Pound, Cash, Central Banks, Debt, Government budgets, Money, Money supply, United Kingdom and tagged Abraham Lincoln, Bank for International Settlements, Basel, Bradbury Pound, British Government, David Lloyd George, Forum for Stable Currencies, HM Treasury. Bookmark the permalink.